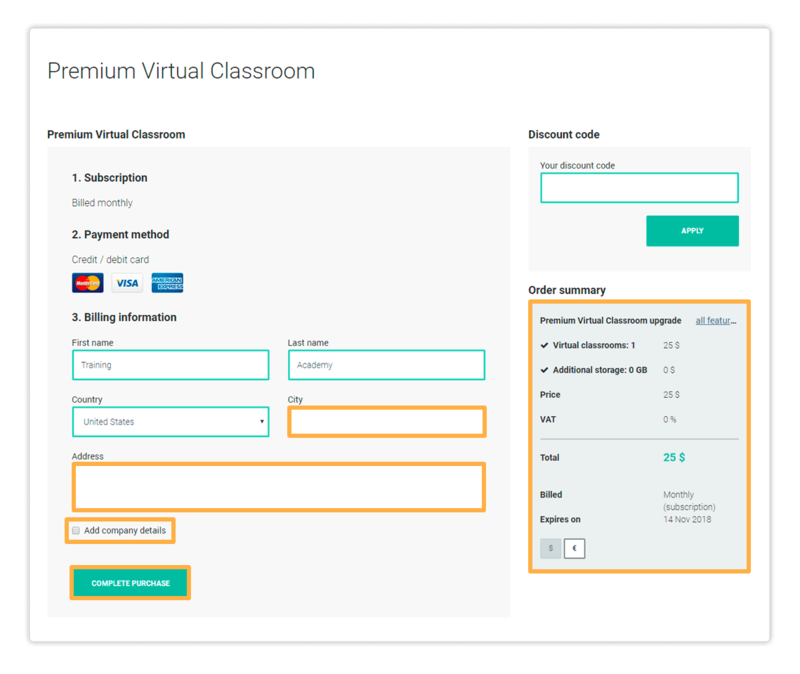 The virtual classroom upgrade to premium article shows the procedure of upgrading to the Premium version of the subscription plan and further details. The Upgrade menu on your account’s Dashboard allows you to purchase the premium subscription plan for your Virtual Classroom. 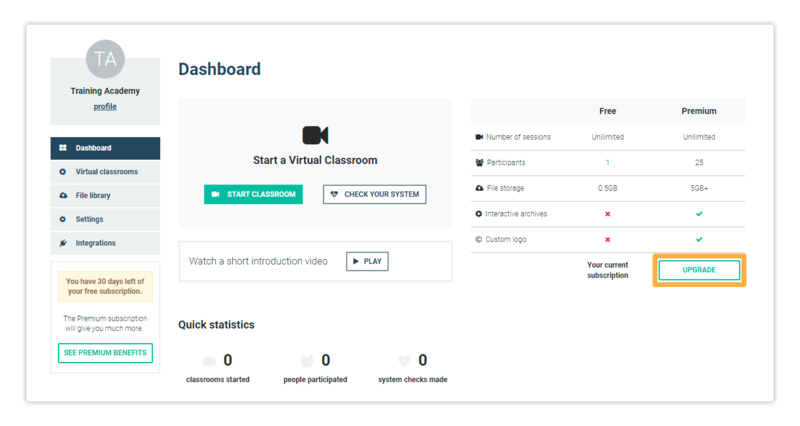 In order to upgrade your Free Virtual Classroom to Premium, log in to your account and click on Upgrade in the lower right corner of the screen. 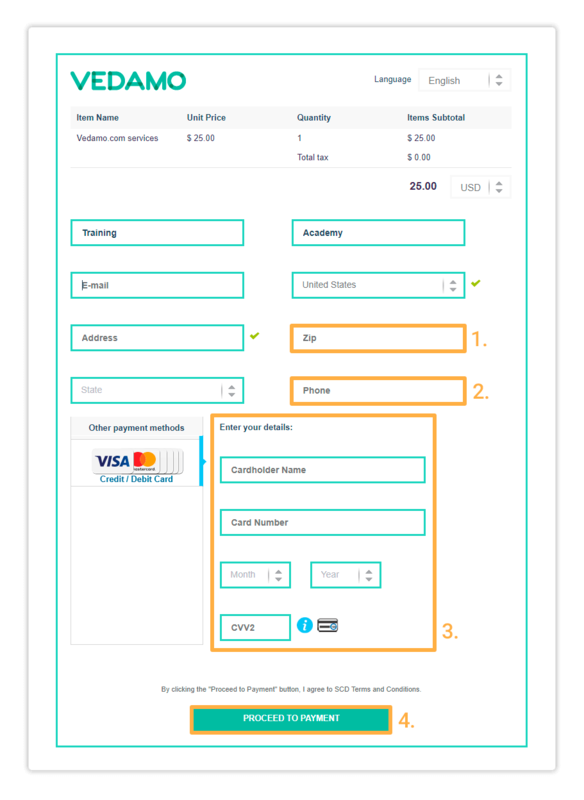 Finally, click on COMPLETE PURCHASE (5) to move to the purchase page and enter your card details. 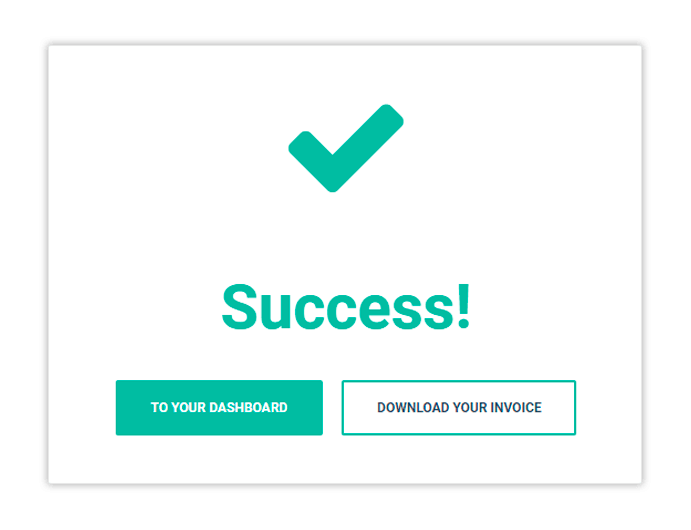 After the payment goes through you will see a window which will allow you to go straight to your Dashboard or download the invoice for the purchase. Additionally, you will receive an email from no-reply@vedamo.com containing the purchase information, date of payment and the date your next payment will take place.